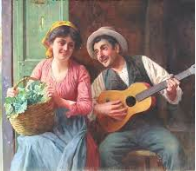 Serenading your Valentine- old fashioned romance in 6 easy tips. 1. Be sincere- don't make a joke out of your serenade. Give it 110%. That way your Valentine doesn't have to feel insecure about getting all googly and melty in response to it. If you think it is a joke, it will not be romantic and come off lame. Sing from your heart and be honest with your emotions. 2. Pick a great song- whether you write the song or sing someone elses, make sure your song choice fits in your voice and is appropriate to the Valentine's Day theme. Feel free to personalize a song that is all ready written by adding your Valentine's name or any other bits of info he/she will like. 3. Pick a great location- if your Valentine is the shy type don't bring out the ukulele in front of all her/his friends- keep the performance private so that he/she can relish the moment without feeling self conscience, on the other hand if she/he is really comfortable in public, see if you can get hold of a microphone at a big event you take him/her to and sing away! 4. 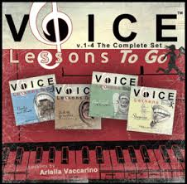 Organize your accompaniment- whether it is to be sung acapella (without music accompaniment), with banjo, or a chamber orchestra, figure it out. Maybe you know someone who can play for you while you sing if you can't pick up a guitar yourself. If not, you can always sing to a karaoke cd. 5. Memorize the piece- You should spend your time looking into your Valentine's eyes, not glued to notes or lyrics on a piece of paper. -You don't want to miss their reaction, it is sure to be a special one. 6. Make sure you warm-up your voice beforehand so that you can give the best possible performance. You'll only get one shot to melt his/her heart with your song. Make sure you are singing with a clear tone and not warming up and clearing your voice throughout your performance, be ready! -Want to find out how your serenading is sounding before you sing to your Valentine? 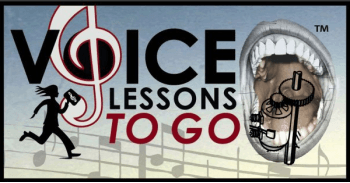 Sign up for Your Vocal Assessment on my site. Send me a link to or mp3 of your voice with your questions, and I'll get right back to you with my feedback.